Discussions Magazine Music Blog: NAKED EYES: Burning Bridges: First time on CD! Available December 4th, 2012! 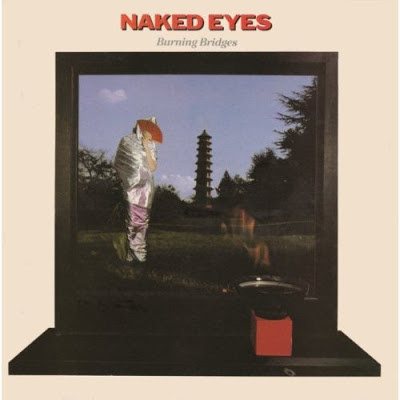 NAKED EYES: Burning Bridges: First time on CD! Available December 4th, 2012! Digitally remastered and expanded edition of the British Synthpop duo's debut album (which was later rejigged and retitled Naked Eyes in the U.S.). Burning Bridges featured singles that charted on both sides of the Atlantic. Their cover of the Bacharach & David classic 'Always Something There To Remind Me' peaked at #8 and its follow up 'Promises Promises' reached #11 - both in the U.S. Hot 100 chart. This special edition contains 12 tracks from the original album plus six essential bonus tracks. The bonus material features two 12" versions of 'Promises Promises' including Jellybean's extended version featuring his - then unknown - girlfriend Madonna on backing vocals. Tony Mansfield's American Remix of 'Always Something There To Remind Me', the US 7" remix of 'Promises Promises' and two b-sides 'Pit Stop' and 'Sweet Poison'. This release has been made with the full co-operation of Pete Byrne - the surviving member of the band.